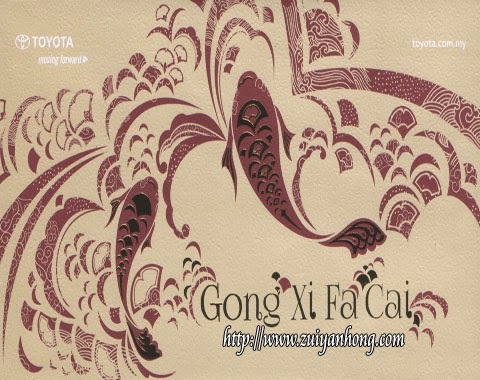 I received a Lunar New Year card from Toyota Motor Corporation last week. I have been my family personal driver for years. During this period as a non-paid driver, I had bought four cars. A used Toyota DX KE70 was the first car I possessed. 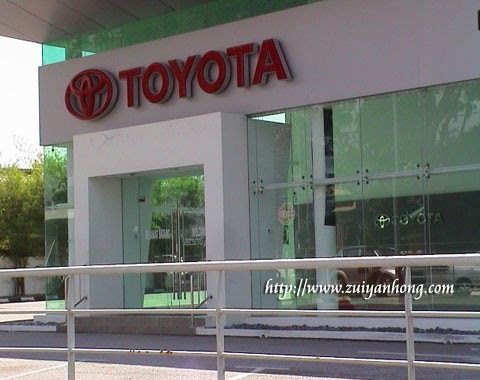 My second and third cars are Proton Iswara and Proton Saga. 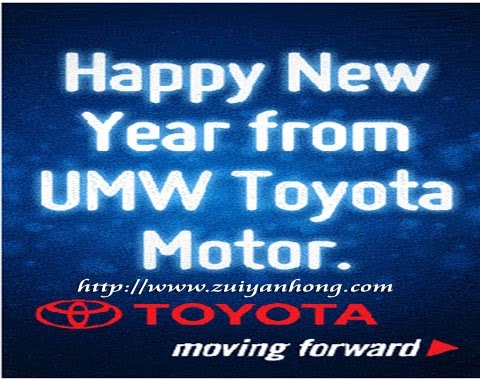 Now I am driving Toyota Vios which was manufactured in 2005. 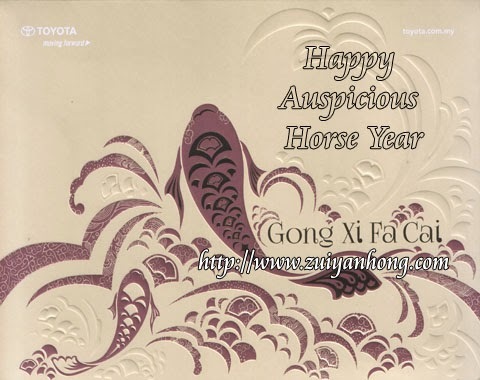 In addition to New Year card, Toyota Motor Corporation also sent me some angbao packets.